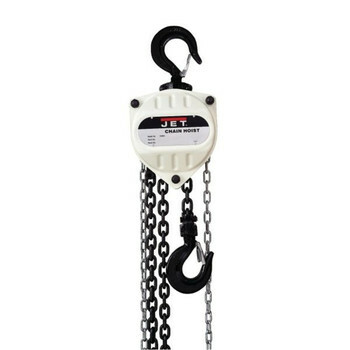 JET® SMH Series hand chain hoists were designed with reliability and durability to perform in light-duty industrial applications. Easily maintained and serviced, the JET® SMH is available in capacities from ½ ton to 10 ton and standard lifts of 10, 15, 20, and 30 feet (custom lifts available). The JET® SMH is the ideal contractor grade hoist. *Ask us about items not listed here.